Medical imaging is increasing its importance in matters of medical diagnosis and in treatment support. Much is due to computers that have revolutionized medical imaging not only in acquisition process but also in the way it is visualized, stored, exchanged and managed. Picture Archiving and Communication Systems (PACS) is an example of how medical imaging takes advantage of computers. To solve problems of interoperability of PACS and medical imaging equipment, the Digital Imaging and Communications in Medicine (DICOM) standard was defined and widely implemented in current solutions. More recently, the need to exchange medical data between distinct institutions resulted in Integrating the Healthcare Enterprise (IHE) initiative that contains a content profile especially conceived for medical imaging exchange: Cross Enterprise Document Sharing for imaging (XDS-i). Moreover, due to application requirements, many solutions developed private networks to support their services. For instance, some applications support enhanced query and retrieve over DICOM objects metadata. This paper proposes anintegration framework to medical imaging networks that provides protocols interoperability and data federation services. It is an extensible plugin system that supports standard approaches (DICOM and XDS-I), but is also capable of supporting private protocols. The framework is being used in the Dicoogle Open Source PACS. 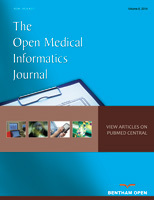 Keywords: Cloud computing, data integration, DICOM, medical imaging, PACS and XDS-I..
© Viana-Ferreira et al. ; Licensee Bentham Open.